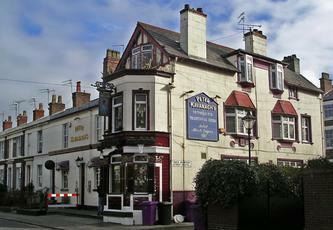 Characterful pub serving well-kept ales and with friendly service and relaxed atmosphere. A ''must visit''. 10/10. Great locals pub not far from Pro Cathedral. Worth a look to see the interior. This pub was busy but it wasn't, what i mean by this is that one of the side rooms was quite busy and the bar as well. But at least one side room was pretty quiet, I stood at the bar. 5 ales on one being Abbot Ale, I went for a pint of 'Onyx' (not sure what the brewery was, this may be incentive to go back to find out), priced at 3.20 and was very tasty. This feels a bit more of a locals pub, some of the other lads around the bar seemed a bit more 'up for it' (if you will), friendly though (one even bought me a pint). Definitely worth a visit, only thing I would say is it is worth coming here earlier on in your night as it is a bit further away from the main drinking areas of Liverpool. Don't risk getting lost or having to deal with some interesting characters on your walk back at the end of the night. Peter Kavanagh's is well out of the city centre. So I don't get to go here too often. It's also in a backstreet. So you don't tend to notice it in passing. 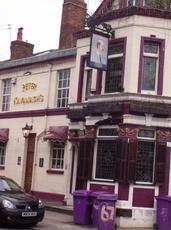 Nevertheless it's still one of Liverpool's pub gems, with 3 different rooms that are all impressive. The ale range is good, but not quite good enough to tempt us here any more often. Yesterday it was Cottage Nemesis & Golden Arrow, Greene King Abbot, George Wright Cheeky Pheasant & Ossett Columbia Creek. All the beers we tried were well kept.